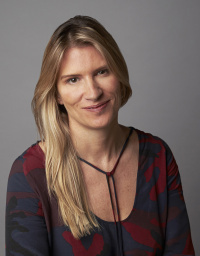 DesignLSM senior designer Sally Williams has been asked to design the interior of 3 restaurants for the latest UK Center Parcs Village, Woburn Forest. The overall scheme will comprise 625 lodges, a luxury hotel, and 21 food, beverage and retail outlets. Sue Woodward, OBE, FRSA, the Founder of The Sharp Project and The Space is to be awarded the RSA Bicentenary Medal. D Studio has branded Ripe & Ready, a new wisdom and wellbeing community bringing content “to the post-rave digital generations” to help them thrive, says the consultancy. Pearlfisher has created a web app for the charity Haller, designed to give African farmers and their children hands-on, relevant farming knowledge and solutions to help them live better self-sustainable lives. Hornall Anderson is opening a New York studio to enhance its service offering for a growing list of East Coast and global clients. The studio will be led by Kathy Soranno, “a 20 + year creative industry veteran”. 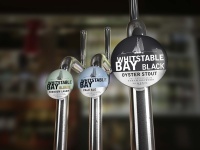 JDO Brand Design & Innovation has branded Whitstable Bay Black, Oyster Stout. The name was chosen to complement the existing Whitstable Bay range and by drawing upon the heritage of the town and its famed oysters. Seymourpowell is opening a specialist office for rail design and development in Derby, “the heart of the rail industry” according to the consultancy. Bristol-based innovation and design consultancy, Kinneir Dufort has announced that a strategic collaboration with Innored, a Korean digital marketing agency. Storeage Amsterdam, in close collaboration with French graffiti artist André Saraiva, has designed a new outpost of the Parisian nightclub Le Baron in Shanghai. The 3,600 square meter club opened on Saturday the 25th of October. Jamie Hayon is collaborating with decorative lighting manufacturer Parachilna to produce a lamp range called the new Chinoz collection.